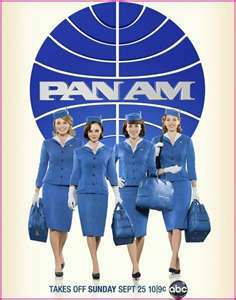 It’s not as luxurious to fly as when those cute Pan Am stewardesses ruled the skies, but it’s also darn cheap to do so now. So much so that it’s often cheaper for us to fly on business than drive. Every time one of my friends joins the TSA Pre-Check program and gloats about it on Facebook, I shoot them a message: “The first rule of TSA Pre-Check Club is that you don’t talk about TSA Pre-Check Club.” I’m kidding. (Well, not much). But here’s the thing – TSA Pre-Check is a must-do for any traveler who takes even a few flights a year. And the more who join the program, the slower my security line gets. But it’s not nice to be selfish, so I do highly recommend applying for this program. It’s about $100 for five years, and let’s you use the Pre-Check security line at airports that have them and when you fly airlines who support it. (Spirit, Allegiant and Frontier are among those who don’t).In addition to short lines (I’ve made it from ID check to picking up my carry-on on the other side of the X-ray machines in less than 6 seconds before), you don’t have to take your laptop or toiletries out of your bags, and you can leave your shoes, belts and light jackets on. It’s an amazing time-saver, especially for 20 bucks a year. One pro tip I had to learn the hard way: You can’t just flash your membership card to go through the TSA Pre-Check line. You have to enter your number on your flight reservation, or store it in your frequent-flier profile, so it is printed on your boarding pass. Related, and worth the extra time and cost if you do a lot of foreign travel by air, is Global Entry. Global Entry, which allows you to skip the U.S. Customs lines and fill out your declaration on a kiosk, includes TSA Pre-Check, so there is no need to apply for both. It does require an in-person interview at the airport and a much more detailed background check, but if you have the time and no skeletons in your closet, it’s well worth it. And added benefit I saw at Toronto, where U.S. passengers clear Customs, is your Global Entry card allows you “TSA Pre-Check-like” security status, so it’s just like going through security in The States. Cheap fares: Unfortunately, the great fuel price hedges that Southwest gambled on many years ago are gone now, so it’s not always the cheapest, but generally speaking, it’s hard to beat them. Direct flights to everywhere: The route map is huge, so most of the time, you can find a direct flight to where you going. I don’t like changing planes anymore than you do. No stupid fees: Their commercials are classics. And right on target. No fees for checked baggage is the one that gets the most attention, but the one that is invaluable to me is no change fees. You can book a flight, change your mind and whatever you paid is stored in your travel funds account for future travel. Laura is a master of constantly checked fares and rebooking us. No assigned seats. Sure, sometimes it means I can’t sit with my wife or I have to settle for a middle seat, but on every flight, I have the possibility of getting a coveted emergency exit row seat for no additional charge. And really – most every airline is now charging to pick your seats, so you can’t even guarantee where you’ll sit with other airlines unless you’re willing to pay for it. Friendly culture: You can’t put a price on this, but with all the hassles of flying these days, I’ve never encountered a single unfriendly Southwest employee. That speaks to the company’s culture. A friend calls them “the Greyhound of the skies.” So, so true. Spirit is unabashed in its proclamation of being America’s first ultra-low-fare airline. You pay for everything – and I mean everything – when you fly Spirit, but if you can put up with the hassle, you’ll save some money. Its $9 Fare Club is a must-do when you decide to book your first flight (costs about $35 a year), since $9 Fare Club members get discounts on flights and baggage. I’ve flown roundtrip to Ft. Lauderdale for $1 each way (plus fees, so about $35 total roundtrip – it cost me more for the shuttle to the airport than for my flight). But you have to go into the Spirit experience honestly. It’s not for everyone and it WILL be a pain. They cram more seats on every jet than anyone else, meaning your knees will rub up against the seat-back pocket. The seats and carpet may be worn. You’ll have to pay for carry-on bags (and more than you would for checked luggage) unless you can shove your bag under the seat. No free peanuts or pretzels or Cokes. Many fliers make a big mistake not paying attention to smaller carriers that don’t show up in searches on Orbitz or Kayak. When I can’t find a good fare to somewhere I need to be, I look for alternate airports that are close by, and then look for the list of carriers that serve that airport. It takes a lot of work, but every once in a while you’ll discover an airline that you’ve never heard of that flies into an airport that you hadn’t considered and for a fare much less than anyone else. One of my favorites is Allegiant. Admittedly, it’s a great airline for me since St. Petersburg/Clearwater is one of its “destination” airports, so it flies in and out of here to lots of places. And most of them are small, underserved airports that might actually be closer to your final destination than a major airport, or at least worth the extra few miles in the rental car. It has its drawbacks (no connecting flights, no TSA Pre-Check support, only one flight to your destination a day or even a week, recent maintenance issues and you have to pay to check-in online), but its fares are always reasonable. As with Spirit and all other discount airlines, you have to figure out what your total price will be, including the “hassle fee,” to judge whether the introductory fee is really a deal or not. I really see little difference between Delta, or American or United or any of the other big, legacy airlines. I fly them when they are cheaper or have better flight times, but I don’t prefer one over the other. Recently, Delta has moved to the front of the pack for me, as its on-board entertainment has far exceeded other carriers and its wi-fi rates are more affordable, though not as affordable as Southwest’s.